If your cat is prone to hairballs, it could benefit from amiQure Hairballs, a paste that contributes to the natural excretion of swallowed hair. If your cat is prone to hairballs, he or she could benefit from amiQure Hairballs, a paste that contributes to the natural excretion of swallowed hair. Like other amiQure products, the Hairballs formula is based on a Multi-Action system that improves the natural passage of hairballs and facilitates bowel movements. Administer approx. 2 cm of paste (1.5 grams) daily, on the paw or muzzle of your cat. Alternatively, mix with normal food. Over time, the dosage can be halved, provided the hairball issue has improved. 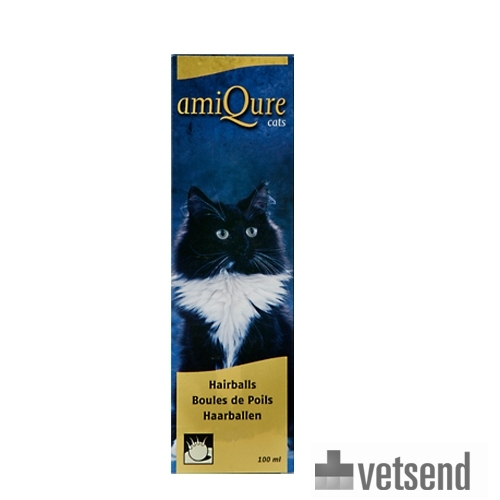 amiQure Hairballs is a food supplement. Have you used amiQure Hairballs before? Let us know what you think about this product.